It's not the first (or the worst) example of Rio de Janeiro's monumental Christ The Redeemer statue being used in an ad campaign. But maybe the context of the World Cup has people particularly jumpy. 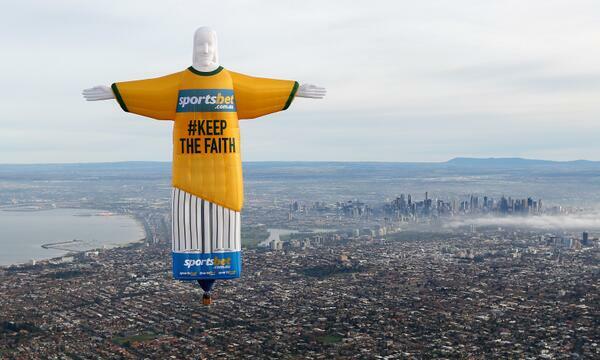 In one example, from Australia, involved a giant inflatable Jesus hovering over Melbourne, sporting a Team Australia soccer jersey with the logo of bookmaker Sportsbet and the hashtag #KEEPTHEFAITH. While Australia is known for edgy advertising, this stunt upset Reverend Tim Costello, chair of the Australian Churches Gambling Taskforce. He told the press, "One of the great statues in Rio is Jesus, and Brazil is a Catholic nation that takes its faith seriously and its football fanatically." 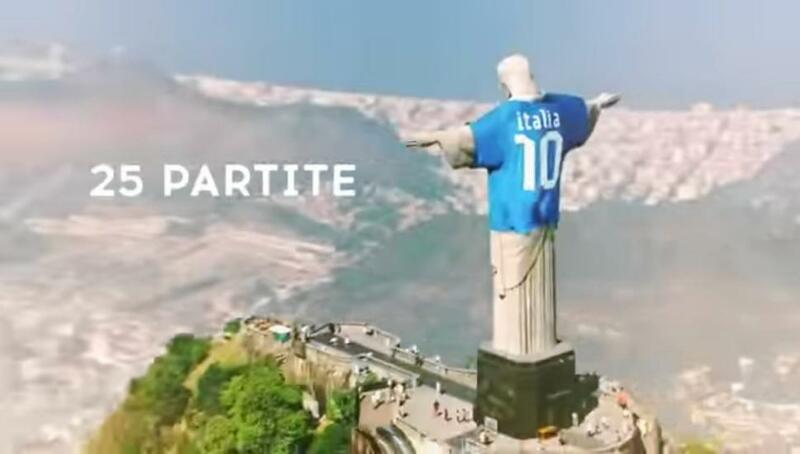 NY Daily News reports that The Brazilian Catholic Church threatened to sue Italian broadcaster Rai after it showed the statue in an Italian jersey in its promotional video for its coverage of the World Cup. While this upset the The Archdiocese of Rio on religious grounds, the issue could actually be one of intellectual property. The Archdiocese has image rights over the statue. After they threatened to sue Rai for $5.4 million, the network pulled the ad. My own sensitivities are not too bruised by poking fun at The Jesus, since he's so embedded in secular western culture. But the intellectual property argument for this particular representation could be a real headache for cheeky advertisers. 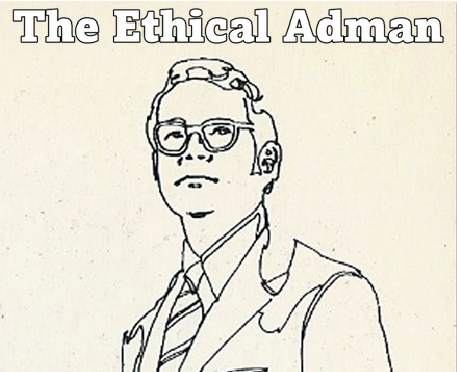 UPDATE: Ad Critic Joe La Pompe informs me that it is a well-worn old idea!